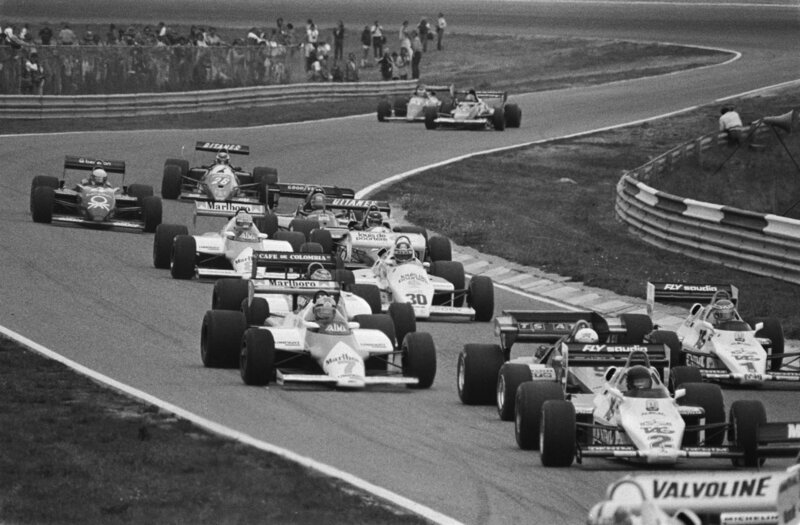 Talking about F1: The F1 blog: 1982 and all that - is history repeating? Nineteen Eighty-Two. For the historically-minded F1 fan the rather Orwellian air isn't inappropriate. Even in a sport rarely shy of providing notoriety it was a season that has strong claim to being its most notorious of all. It was possessed of almost everything, both highs and moreover desperate and extreme lows. By Dijk, Hans van / Anefo / neg. stroken, 1945-1989, 2.24.01. And was one of a sort that perhaps is being repeated now. To an extent at least. Thankfully the worst of the 1982 season's depths look unlikely to be replicated this time; as most probably will not the scaling of the higher peaks. But the family resemblance is there. You'll be aware that F1 right now is in a state of civil war. That some political wrangle or other is at all points it seems elbowing into view. F1 in 1982 was just the same. It even then as now had roughly the same protagonists, and literally the same in the case of Bernie Ecclestone. Though unlike now the warring factions then were Bernie and his FOCA organisation set against the FIA (or FISA at its sporting arm was then known) and particularly against its autocratic head Jean-Marie Balestre. Now Bernie and the FIA are allies, and they are allied against the teams. Again the rather Orwellian whiff is present - three 'superstates' of the governing body, commercial rights holder and teams in perpetual war, alliances shifting like water. Yet in 1982 there was a split among the competing squads, with mainly the 'grandee' manufacturers such as Ferrari and Renault siding with the FIA and the mainly English squads with off the shelf Cosworth power (or 'garagistes' as Enzo Ferrari dismissively titled them) made up of the likes of Williams, Lotus and Brabham, siding with Bernie. Now the teams so far as we can tell are united, and are being led by the manufacturers - Ferrari and Renault now joined by Mercedes - who are using their power as engine suppliers to control other teams politically. And then as now the stand-offs were not actually about what they ostensibly were about. Then the split opened over the absurd matter of drivers being fined for not turning up to a briefing at the Spanish round in Jarama in 1980, then was mainly fought out over the dominant ground effect aerodynamics and their future. 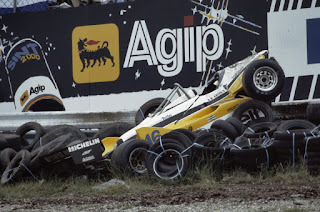 The ground effect greatly increased cornering speeds but were dangerous on a number of levels, and became incredibly so as a botch was made of a first attempt to eliminate them for 1981. But the trouble was the garagistes particularly benefited from them so had by far the most to lose from their passing. But as I said then as now it wasn't really about that, just as the civil war now is not and never has been about qualifying systems. Nor about engines which is what they argued about last season. Then as now, it was all about who runs the sport. Jody Scheckter not long after that Jarama division in 1980 took up the story of then, and his words may carry a pang of modern recognition. "Forget the driver fines. That's a detail, and really has nothing to do with the current dispute" he said. "The basic problem started about eight years ago. The FISA - or the CSI as it was then - was neither strong nor efficient, and that was why the FOCA started. It's good that it did too, because it held Formula 1 together and built it up. From the start FOCA was strong and efficient, but we got to the stage where they weren't only running themselves, but running motor racing altogether. Up to a certain degree that was OK, but then they started to make the rules as well. They got the rules changed to whatever they wanted, and the situation got worse and worse until Balestre arrived, someone who was prepared to say, 'I'm going to stop all this, and I'm going to make the FISA the governing body again.' That is the cause of the basic problem." 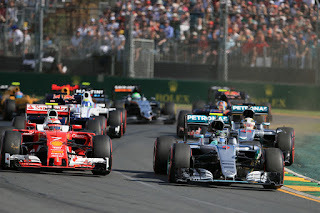 As for the dispute we have now, well Dieter Rencken can start to explain that one: "The seeds for Formula 1's 2015 season were sown a good two months before 2014 gave way to the new year, when Fiat CEO Sergio Marchionne replaced long-time Ferrari president Luca di Montezemolo with his good self as part of an overall management restructure. It was at this point that, for Ferrari, F1 mutated from a marginally profitable global-marketing pedestal for the company's road cars to a full-on profit centre within Gruppo Fiat." Joe Saward went on: "In league with his mates Dieter Zetsche [of Mercedes] and Carlos Ghosn [of Renault]" he said of the Ferrari kingpin, "they envisaged a rather different Formula 1, one which the players would control. With engine supply being the key, they extended their influence over the smaller teams to the point that they could block decisions they did not like, using the Ferrari veto and sticking together, at least politically". Bernie as we might have guessed didn't like this power play and set himself against it, and late last season he got FIA president Jean Todt onto his side too. And with the way F1's governance is designed, with votes split between Bernie, the FIA and the teams, this has created deadlock. And as Christian Horner explained late last year when the dispute on the face of it was about engines: "You've got a much bigger issue than the engine. This is about who controls Formula One, the engine...is a catalyst". 253-8756., CC BY-SA 3.0 nl, https://commons.wikimedia. While too you might say that we have peace for our time with the recent resolution to the qualifying dispute, the peace for our time will likely be the sort that Neville Chamberlain proclaimed in 1938. In other words, it's only a matter of time until the two factions find the next thing to take up arms about. And with the next commercial deals not due to be inked until 2020 it's difficult to see where this ends before then. Similar went down in 1982. "It was rough and sometimes downright unpleasant" said the legendary scribe Nigel Roebuck of that season, "for it seemed that every week some fresh issue would erupt, requiring firm comment, so the only certainty was that, wherever you were in the paddock, someone whom you had recently enraged was close to hand. The tension ran very high." Yet as Roebuck also noted, 1982 also had a silver lining. "It was an ugly year, pock-marked by tragedy, by dissension, by greed, and yet, paradoxically, it produced some of the most memorable racing ever seen; from 16 Grands Prix came 11 different winners, in seven different cars, statistics faintly surreal in the context of today". Even over and above the numbers some of the on-track goings-on in 1982 were extraordinary: the Monaco race that no one it seemed wanted to win; John Watson rising from 17th on the grid to triumph in Detroit's torturous confines; Elio de Angelis bagging his debut victory in Austria where he beat Keke Rosberg by about a foot; Rosberg despite being the title favourite finally taking his own freshman race win in Dijon passing a local favourite Renault on the last lap, after a local official tried to wave the chequered flag early in order to help the home team and then didn't hold it out until a lap late. 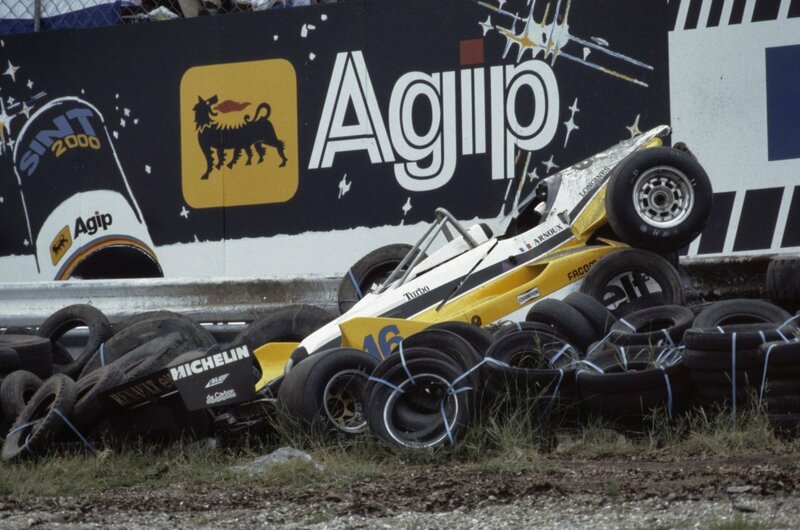 In two rounds there were defying-team-orders-to-win controversies, Pironi beating Villeneuve infamously in Imola, Rene Arnoux then doing something like it to Alain Prost in Paul Ricard. There were plenty of other stories too. And even here there could be something of a resemblance between then and now. As outlined F1 thankfully is not likely to reach the very depths of the 1982 lows, if nothing else the sport's deadlock and dysfunction hasn't now created dangerous F1 cars, so the death and injury among the competitors from 1982 - Gilles Villeneuve and Riccardo Paletti didn't survive the year, while Didier Pironi's F1 career was ended by fearsome injuries and several other large accidents only by sheer mercy didn't have similar outcomes - are unlikely to be repeated thankfully. Equally though we're unlikely to have 11 different winners from seven different teams this campaign, short of some very unusual goings-on. But there are some signs that beyond the wrangles the actual on-track fare in 2016 could be pretty memorable. It's been easy to miss what with everything else but the opening two races of this F1 season have been entertaining ones. 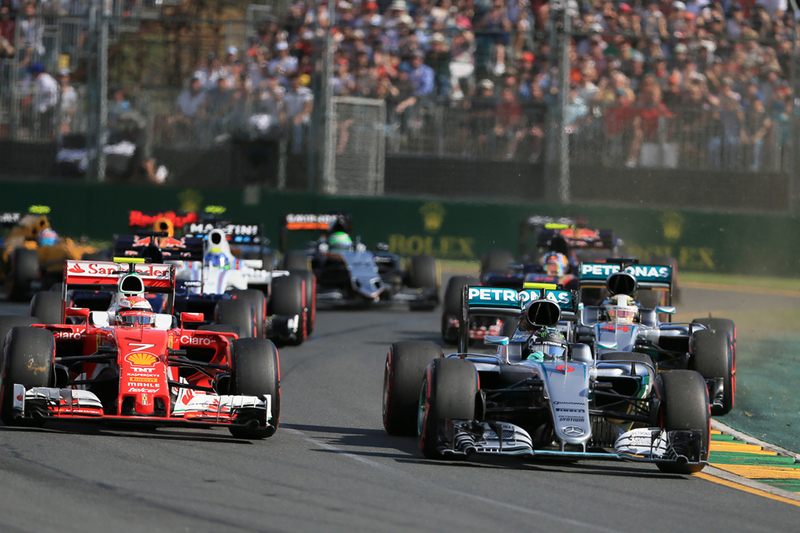 Granted they both benefited from circumstance, such as shuffling of the order off the line and at turn one in both rounds, as well as in Australia a red flag stoppage that also served to liven things up. But still there was enough that we could discern to suggest the fight between the two Mercedes, as well as between Mercedes and Ferrari, will be both close and fascinating this year. There are reasons to think it might get even better too. "You wait until Renault get on form later on in the year and I think McLaren and Honda will still keep going forward and I think that will actually intensify [the action]" said Martin Brundle after the Bahrain race. "You see Manor and Haas in there as well really spicing up the action, and this three-tyre thing is working a treat isn't it? It's giving us such variability. Is it fake overtaking? I don't know, but it's pretty brutal, with lots of going round the outside and lunges on the brakes as they try to find out which are the right tyres to be on. I mean the medium compound really didn't work here [in Bahrain] at all well but of course it worked brilliantly in Australia". 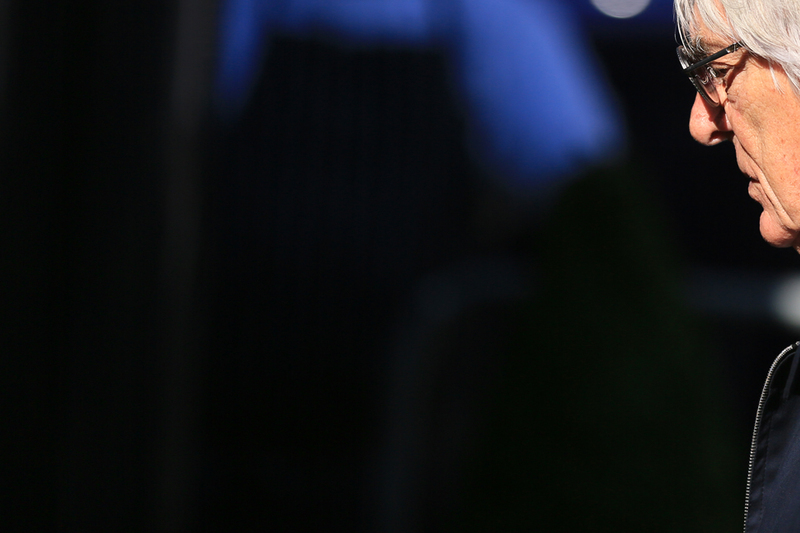 Sudden and unanticipated outbreaks of sanity are not unheard of in F1. And indeed in 1982 after years of 'nothing to be done' the impenetrable fog of the FISA/FOCA war lifted almost overnight not long after the season ended. Small yet sensible changes were pushed through with immediate effect in the close season after FISA declared force majeure, and even the previously most obtuse did no more than grumble to themselves while adapting. "Perhaps sanity did prevail after all; perhaps people really did care about the future of the sport and the image it presented" mused Maurice Hamilton almost incredulously afterwards. Sadly though there are reasons to think that this won't provide us with one last parallel for the modern day. As despite appearances the route to peace then was in hindsight discernible and underway even as the raucous 1982 year was taking place. Both sides had got roughly what they wanted - FISA the rules; FOCA the deals - ever since the Concorde Agreement had been agreed prior to the 1981 season. 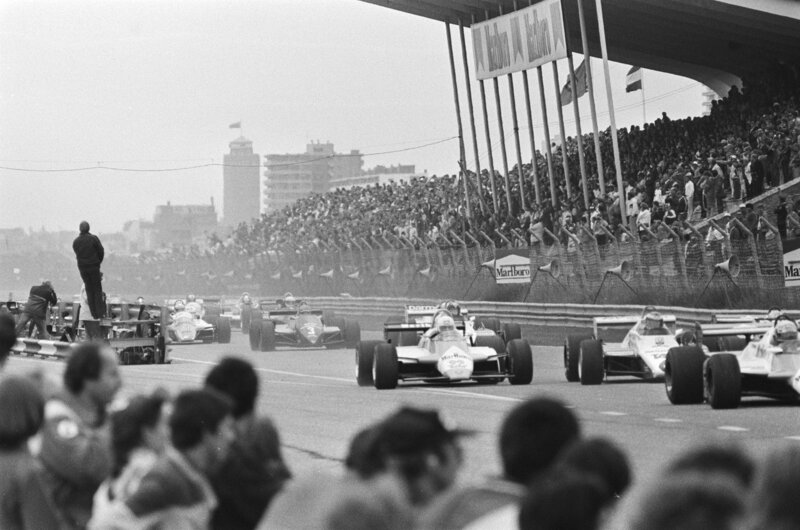 While the upshot of the FOCA-aligned teams' boycott of the Imola race in 1982 and that everyone then reassembled for the next round with cars adapted to FISA's requirements was that the same FOCA teams would accept FISA's rules and decisions, however grudgingly. Plus the dividing line of interests separating the largely turbo-powered FISA teams and the FOCA teams had got blurry. Brabham (Bernie's own indeed) already had a BMW turbo in the back in 1982 while Colin Chapman at Lotus had inked a 1983 deal for Renault engines, and this was a tipping point as almost everyone else followed in fairly short order. Little of this kind of thing is obvious now. And you can add that neither Bernie nor Marchionne are the sort to let things lie. Will Buxton has suggested eloquently that one potential source of trouble ahead is the EU sniffing around the sport, and which deceptively the teams could have the most to worry about. Certainly their new-found unity would be tested severely if Ferrari and the like were expected to accept less generous deals, both financially and politically, in order to aid the smaller teams that set this process in motion. One way or another, this one looks like it has a way to run.